Did you know that WinZip is still around? Me neither. 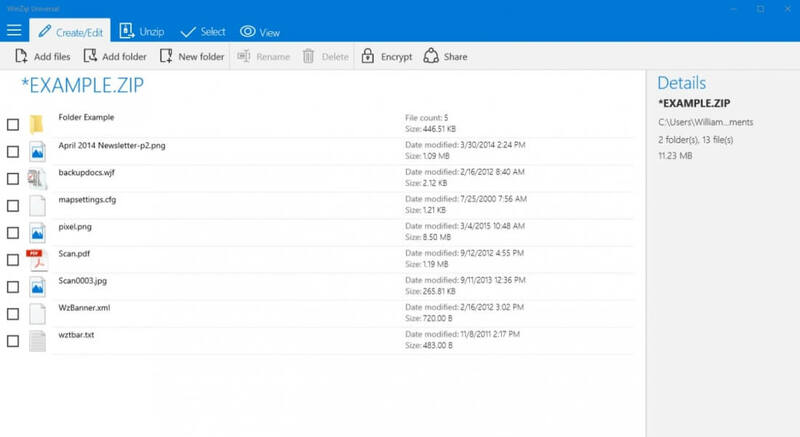 But here we are: a new WinZip application has been announced for Windows 10, built on the Universal Windows Platform, that allows users to compress and decompress files to a number of formats. Aside from basic compression features, the WinZip UWP app integrates with Cortana. Apparently you can just ask Cortana to zip or unzip files and she will do it. The app also integrates with a range of popular cloud storage services like OneDrive, Googel Drive, Dropbox, and Box. You might be asking yourself: why would anyone need WinZip when Windows has featured built-in zip archive management for at least 10 years now? That's a very good question, and one I can't really answer. It's true that Windows doesn't support creating or extracting RAR archives, but you can easily download 7-Zip, a completely free utility, to manage those file types for you. This leaves WinZip in an interesitng place in the market. The Universal WinZip app isn't entirely free – there's a free trial for one year, after which users will have to pay a yearly subscription fee – which doesn't make it a very compelling option over 7-Zip or even WinRAR. However, if you do want to download WinZip for some reason, the app is available from the Windows Store right now. The standard version has also been updated recently and you can download it here.